The evening will include a dinner, and live and silent auctions. A 2018 Wildwood camper will be raffled off. Tables (VIP and non-VIP) are available as well as individual tickets. 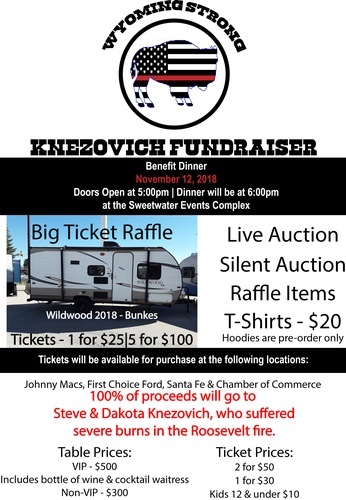 100% of proceeds go to Steve & Dakota Knezovich.